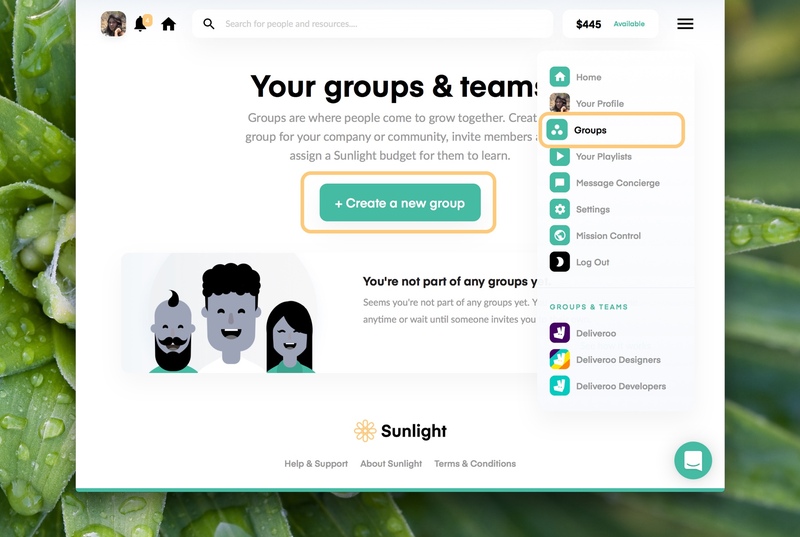 Find out how to create your Sunlight group and add new members so your employees can begin their learning journey! You have already opened your account and now it’s time to create your group and add your employees. 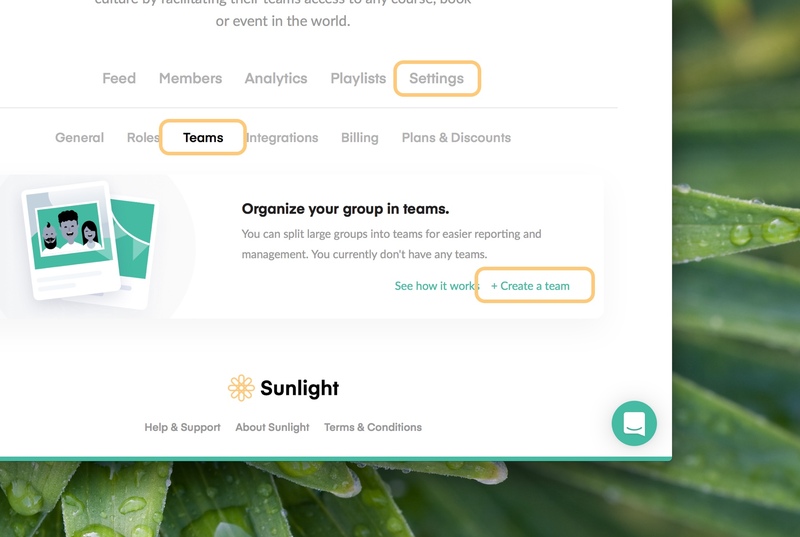 To create a group on Sunlight all you have to do is go to the “Groups” section of your account (which you can find on the displayable menu on the top right side of the page). Once inside the groups section, you just have to click on “Create A New Group” and fill in the information requested on the new menu that will appear (picture below). When you're done, just click on "Create Group." Once you have your group created, you can go on to adding your employees. How to do that? First you have to go to your group’s profile and select the "Members" tab. After that, click on the "Add Member" button. From there, all you have to do is type in the email addresses of the people you want to invite to join your group in Sunlight and click on “Save.” Everyone you invite will receive an email from us with an invitation to join your group. From this tab, you can also make someone a group admin, which means they will have admin access to the whole group. Just click on the person and edit their settings to "make admin". After you've invited everyone, as an admin you can create Teams within your group, and assign Team admins who can take care of approvals for a certain number of people. To create a Team, just visit your Group and go to the "Teams" section under the "Settings" tab. After that, click on the option "+Create a new team." A new menu will display, where you'll be asked to set a name and description for the team, after which you can click on the "Create team" button. 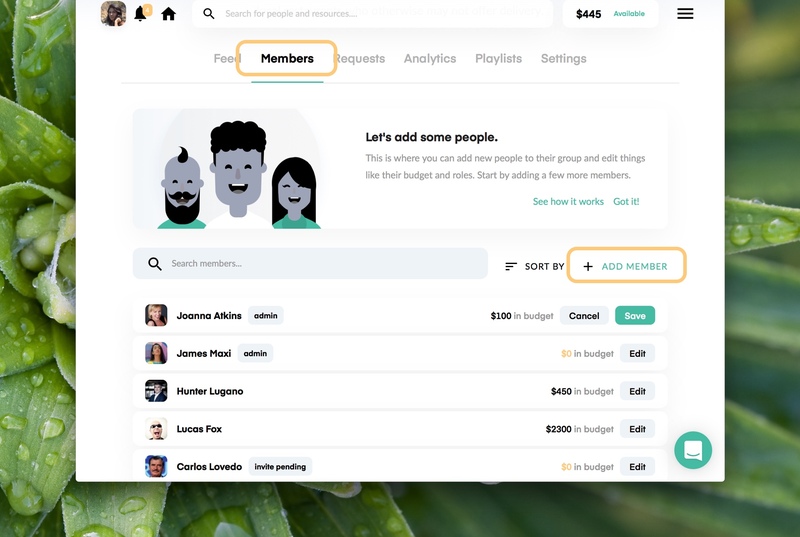 Now can start adding people from your company to each team. And don't hold back! You can create as many teams as you want. If you want someone to be a team admin instead of a group one, you can also do it. All you have to do is go to the team's members tab and proceed as you would from the group's members tab. If you have any questions or comments, please don’t hesitate to contact us through the Intercom icon on the bottom right side of the screen, or via support@sunlight.is.